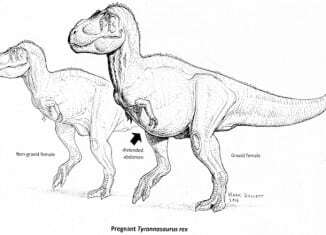 Scientists have struggled through the years to find a fossil of a pregnant Tyrannosaurus Rex and to distinguish between males and females. However, they may have finally found their answer. 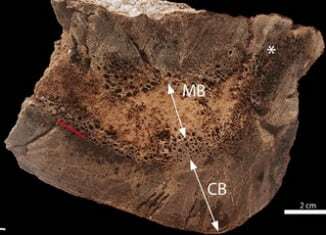 The medullary bone is pretty much bone marrow that is only found in female birds before or during their egg-laying period. It will now be easier for scientists to determine the differences between male and female theropodous dinosaurs. I guess we’ll all be learning more about the T-Rex in the future.